The commercial project locates in Alpharetta, South Forsyth County. Alpharetta is in northern part of Metro Atlanta. 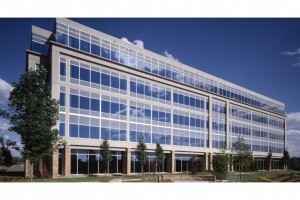 It is the fastest growing business center in South East of United states. Alpharetta is also one of the fastest growing cities with high tech companies in the US. It has the largest fiber network backbone in the United States. There are about 3600 companies in this area. It is expected many more new companies will set up office in this area. Other than increasing flow of new companies, Alpharetta is becoming an emerging commercial center for shopping malls, restaurants, hotels, and entertainment. Our business center will be built just next to the highway 400, which is around 35 minutes to Atlanta International Airport, and easy access to other Inter-State Highways. The business center consists of 5 A class office buildings, 3 buildings will be built as first phase and 2 more will built as the second phase. There will be shopping center, restaurant, and coffee shop at the first floor and nearby areas. We are expecting 6% annual operational return from the rental service of this business center and a substantial profit to sell it out when real estate market comes back.